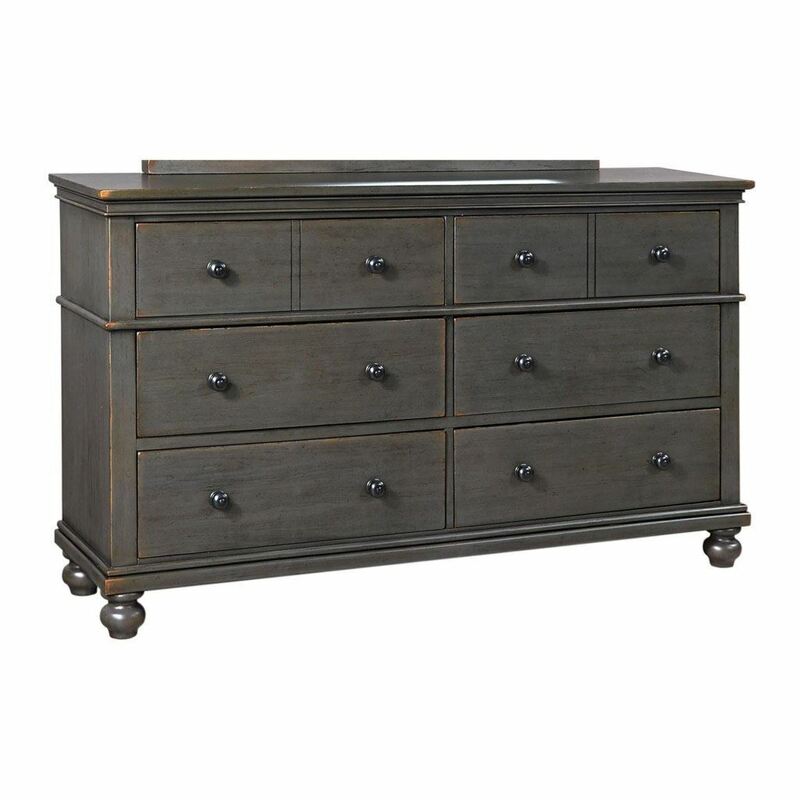 The Oxford Dresser in Peppercorn offers modern clean defined lines, traditional bun feet and minimal ornamentation making it the perfect transitional storage piece to add to your bedroom collection. 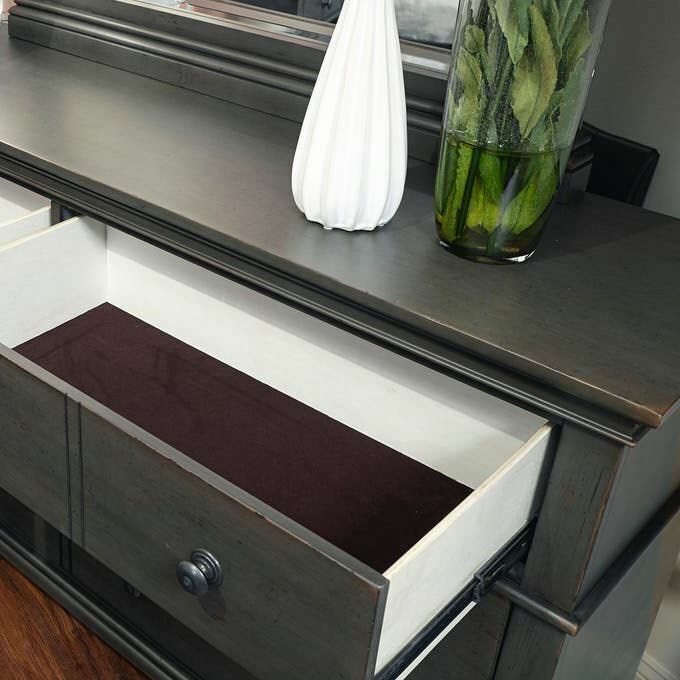 The dresser offers enough storage space for all of your clothing and accessories with six drawers including felt-lined top drawers and cedar-lined bottom drawers. 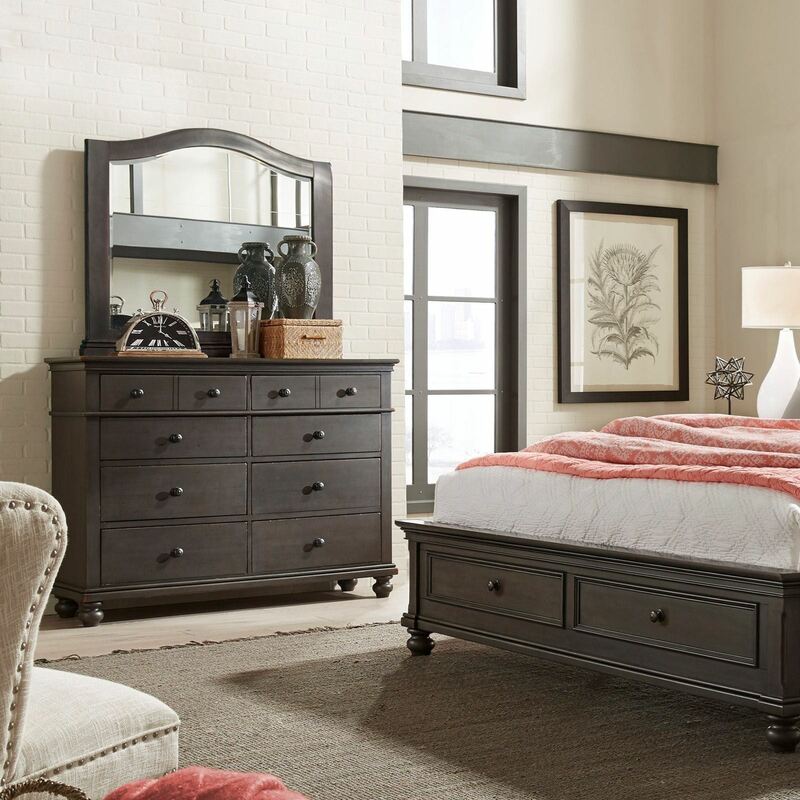 Built with a focus on both quality and transitional style, this piece will make a wonderful addition to your bedroom. 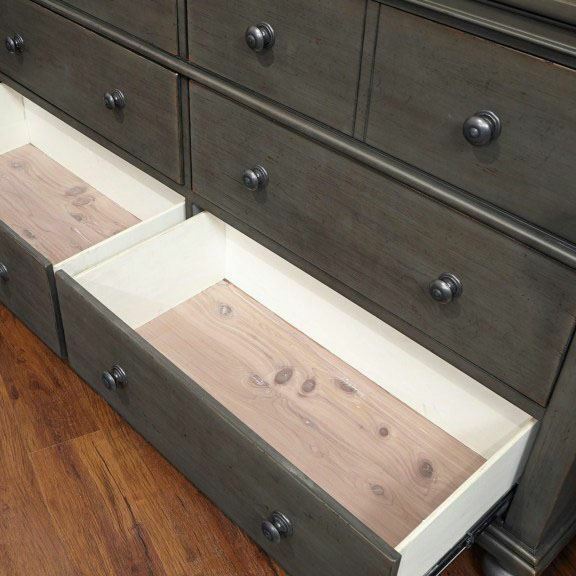 Mirror sold separately.